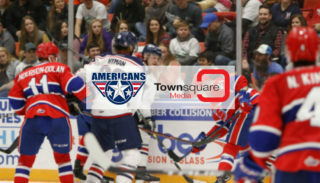 The Tri-City Americans faced and beat the Kootenay ICE tonight on the Mental Health Awareness Night. The night was off to a busy start with 5 goals in the first period. 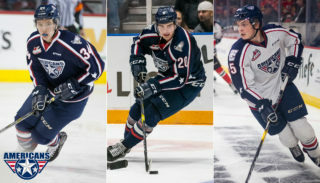 Americans, Parker AuCoin and Nolan Yaremko scored two out of the five. 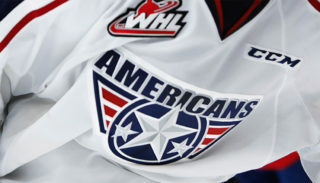 Third star of the night, Kristof Hrabik, tied the AMS up 3-3 in the second with a short-handed goal at 13:38. AuCoin’s second out of three goals found the back of the net at 14:53 giving the AMS the 4-3 lead. Samuel Huo assisted Paycen Bjorklund’s with the game-winning goal at 18:04. AuCoin scored his third goal and insurance goal of the night at 19:53. Hrabik scored his second goal of the night in the third at 18:22. 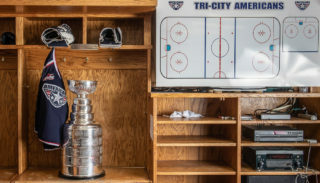 The AMS will take on the Victoria Royals tomorrow night at the Toyota Center for the Pink Ice Fred Meyers Breast Cancer Awareness Night at 7:05 p.m. Purchase tickets here.